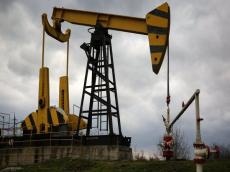 Oil prices fell on Wednesday, with Brent dropping by more than $1 at one point, after U.S. President Donald Trump threatened to levy new trade tariffs on China, Reuters reports. The specter of tariffs on a further $200 billion worth of Chinese goods sent commodities lower along with stock markets, as trade tensions between the world’s two biggest economies intensified. The U.S. pulled out of a multinational deal in May to lift sanctions against Iran in return for curbs to its nuclear program.